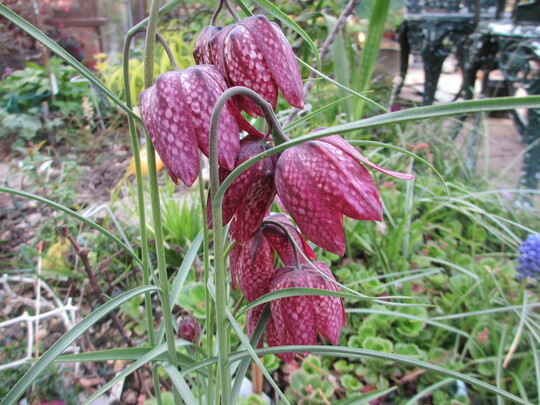 Deep purple clump of Fritillaries growing in part shade. The ones in the sunny area have finished, including the white ones. What a show none of mine have appeared this year.